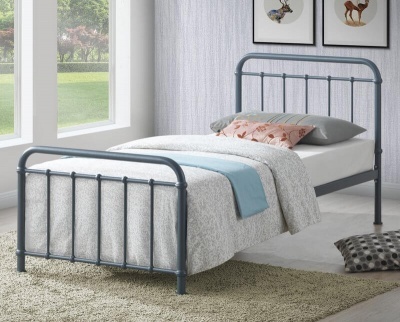 A great choice for teenagers and guest bedrooms. Soft curves and smooth lines give the Arabella bed frame a romantic feel. Constructed from robust steel with a stone white eggshell powder coating. Similar colour to magnolia paint. Fits a standard single 90 x 190 cm mattress available separately.